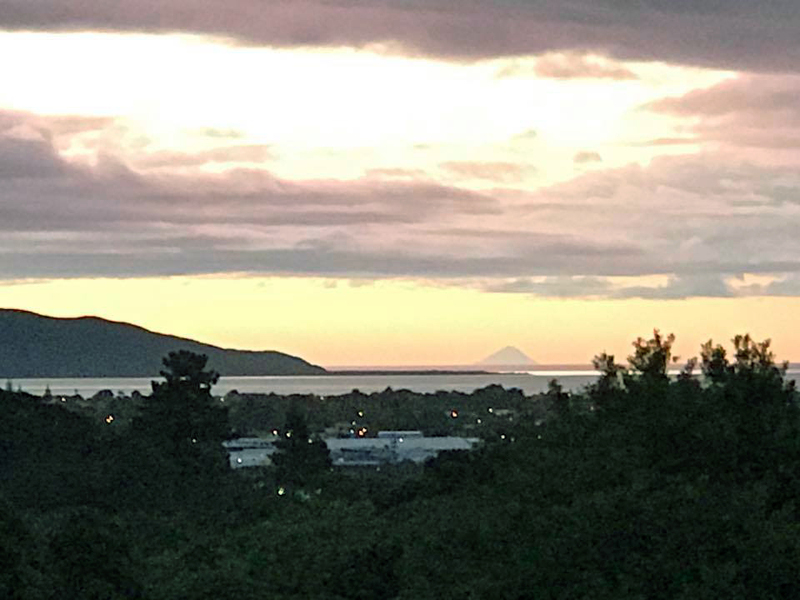 Kapiti Island — and Mt Taranaki! One benefit of the colder time of year for taking pictures is that there is less haze in the atmosphere, enabling long distance features to be more visible. An evening photo by Jill Cowton.